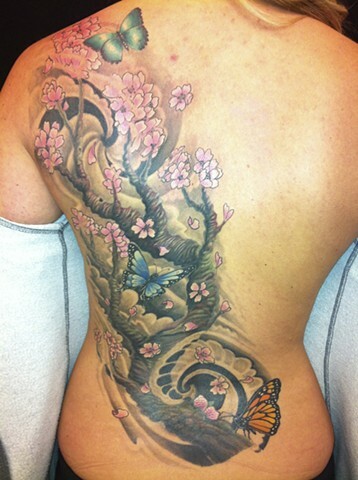 Nicole had a little lower back piece which we incorporated into this piece. Love the flow on this one and how the black pushes out the color. The tree has grey, red and green in the bark. A really fun tattoo for me. Thanks Nicole!